Abigail Todd, the very proper headmistress of an academy for young ladies in Boston, arrives in England to settle her grandmother's estate, having no idea that her grandmother was la grande Clarisse, the most notorious courtesan of her day. Nor that in order to inherit the cottage, which is far grander than she had ever imagined, she must carry out a series of commissions, detailed in letters left by her grandmother. It is also stipulated in the Will that the estate's executor must accompany Abby while she carries out the commissions. The estate's executor is Jared Verney, Earl of Langley. Not only is he a shining example of England's ruling class, whom Abby despises, but his brother, a military man, helped burn Washington in the recent war. Not an auspicious way to begin a collaboration on eight commissions. To make matters worse, it was Jared's grandfather who installed Abby's grandmother in the cottage and frittered away his fortune showering her with gifts. Which means-oh horrors!-Abby and Jared may be cousins. Only strict training in manners allows the stiff-necked American and the English aristocrat to move forward, carrying out Clarissa's instructions. Over the course of the commissions, which range from sentimental to uncomfortable, threatening to a stunning surprise, the two antagonists begin to realize that Clarissa might have had an ulterior motive. Is it possible she hoped to achieve for Abby the wedding ring Clarissa was never offered by Jared's grandfather? By the time Abby and Jared recognize the old courtesan's scheme, it may be too late. Clarissa has bound them together as thoroughly as the ribbons around her packets of letters. But is it marriage the earl has in mind, or merely tumbling the proper Bostonian into her grandmother's footsteps? "This story flows like fine champagne, full of sparkle, zest and energy." "The dialogue sparkles, the plot evolves at a brisk pace, and a diverse cast of secondary characters adds depth and texture to this well-written tale." "I was completely and utterly seduced by this book. . . . The plot is exquisite, a sparklingly innovative, perfectly executed piece of craftsmanship. . . . 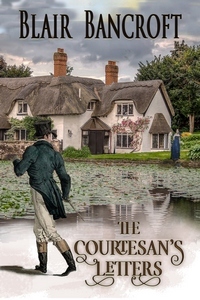 It is books like this that restore our faith in the Regency genre. . . ."